Diving is one of the activities that can be done in Bali. So for those of you who like diving, should not hesitate to question pointed out that many other people, what to do in Bali ?. Strange questions from people who are still unsure of the beauty of nature, have attractive tourist objects in Bali Indonesia. See also "Thing To do in Bali: Indoor activities" and "Things to do in Bali: outdoor activities". Should not always ask and imagine about what to do in Bali. One of the activities that can be done in Bali is diving. Because Bali has many diving spots. Almost all natural sea in Bali has a very beautiful underwater. From north to south, from east to west, there are many diving spots in Bali. Here are the spots to dive in Bali's most popular, so you no longer ask about what to do in Bali for people who love diving. Candi Dasa is a very popular tourist attraction as a tourist area. This area has a cluster of small islands called Gili Tepekong, a group of small islands with a captivating underwater life. A wide range of soft corals and colorful sea fans. Similarly, bat fish (batfish) are large and quarts of golden fish. Gili Mimpang is the place to see sharks. 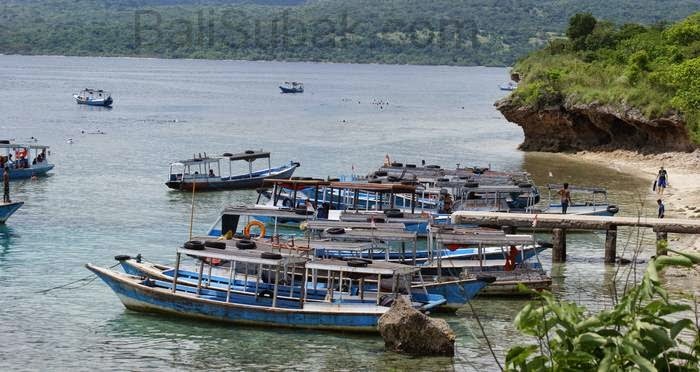 The small island which is part of the West Bali National Park is surrounded by large and small coral which is the habitat of sea turtles, sea eel, snapper and bat fish. Interestingly, the coral is quite close to the shoreline that can be explored by snorkeling. In order to see the coral and giant sea fans, it must dive deeper. Located close to the Strait of Lombok, Nusa Penida island is a paradise for divers who want to see of sunfish and manta rays. There are several famous dive sites, including Toyapakeh which has crystal clear water and has a stretch of beautiful coral. Crystal Bay with a variety of soft corals and anemones. Malibu Point is also famous as a place to see large manta rays and sunfish. Nusa Lembongan Island adjacent also has some interesting dive sites. 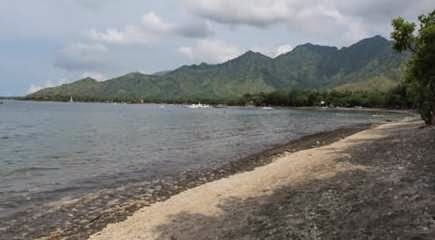 Five charming scenery of the mountain on the island of Java can be seen through this beach. The divers will love Napoleon Reef, a submarine with soft coral gardens and branching are very beautiful, and Close Encounter decorated with colorful nudibranchs. Still there are 4 other dive sites in this place. This place is located at the foot of Mount Agung and the most popular dive sites in Bali. By midday, Tulamben full of tourists who want to visit the ruins of the USS Liberty, the ship of the United States which sank about 70 years ago during World War II. This wreck is home to a number of marine life and a favorite place for fans of micro and wide angle photography. A few hundred meters deeper dive sites Seraya Secret are black sand, a favorite of photographers who come to see the micro tiger prawn, shrimp bride (harlequin), pipefish, and rare nudibranchs.